I have so much to write about! Where do I start! First things first I love my husband! 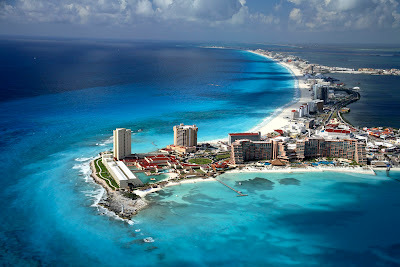 Cancun was Amazing! NO SWINE FLU FOR US!!! As of right now i'd say were 75% moved in to our cute house!!! So I've decided to make my blog like a journal. I want me and Mike and our kids and grandkids to look back at our blog and see what our love and lives are all about. The bridal shower was at my mother in-laws house (Suzanne Hall). It was a ton of fun. I got to meet lots of new family and friends and got lots of fun presents! The Fruit tray and all the goodies I ate were just wonderful yum! I am so lucky to be a Hall. Thank you my new mom for all your love and support. The bachelorette party was also so much fun. All of my friends came and we went to Yappona (best sushi ever) then to My Noah's to karaoke and open presents and play pool! Thank you Spencer for such a wonderful party!